A contingent of 5,131 fans were treated to a defensive stalemate at the Times Union Center, as the Adirondack Phantoms and Albany Devils butted heads for the third time this season. Each team has held serve on home ice thus far and this time around things tightened up for the I-87 rivals. Adirondack entered off a 2-1 victory over the Rochester Americans. Conversely, Albany earned a point in a 2-1 shootout loss at the Providence Bruins. This contest was primarily about the dueling netminders. It pitted Jeff Frazee, who recorded 23 saves in an Albany victory, during their first meeting with the Phantoms and Scott Munroe, who’d previously blanked the Devils in a 4-0 win at Glens Falls, in a 26 save effort. Those two stood tall and so too did each squad’s penalty kill. Both Albany and Adirondack were a dreadful 0-for-7 with the extra attacker, leaving Albany a league worst 2-for-47 on the power play. In fact, one might say that Frazee turned out to be the Devils best weapon on the power play. As the game was still scoreless in the second period, Adirondack was in the midst of killing off a 5-on-3 penalty. Just as the puck was cleared out of the zone by the Phantoms, Brandon Manning broke out of the box but Frazee was there to answer the challenge. Moments later, the Devils still up a man, a similar scenario transpired. Once again, Adirondack cleared the zone and out of the box down the ice was Marc-Andre Bourdon. Alexander Urbom was the only Devils defenceman back and a 2-on-1 developed for the Phantoms. Bourdon hit a streaking Harry Zolnierczyk, but again Frazee left the Phantoms frustrated. Nearly a minute later, Albany was able to generate some offense. Matthew Corrente hit Joe Whitney down the left side of the ice. Whitney skated in to the center of the Adirondack zone and hit Bobby Butler in stride for a 1-0 advantage. 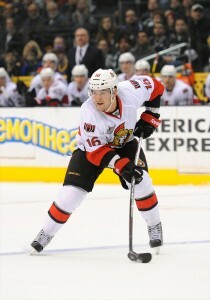 It was the first tally in an Albany uniform for the former Ottawa Senators forward. Late in the frame, Adirondack would counter. Funneling the puck down low, Eric Wellwood wrapped, turned and fired the puck just between the left pad of Frazee and the post, knotting the game at one. It also accounted for Wellwood’s first of the year. That, however would be the sole blip on the screen for Frazee, who made 22 stops on the evening. As the game progressed to the third, the Devils were able to formulate some more offense on a 3-on-1 breakout. Chad Wiseman knocked the puck up the left side and took off down the rink. Wiseman then dropped for Jacob Josefson, who passed to Matt Anderson at the right circle and Anderson was able to cash in. Anderson out waited diving defenceman Danny Syvret and squeeze the puck over the glove of Munroe, for the eventual 2-1 winner. 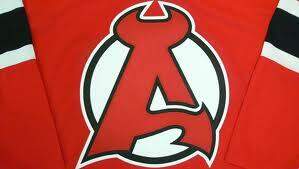 The goal was Anderson’s second marker of the campaign and all the Devils would need from there on out. Albany was able to hold off Adirondack and as a result, takes a 2-1 series lead on their neighbors to the north. On the season, Albany improves to 3-5-0-2 (8 points), while Adirondack drops to 5-6-0-0 (10 points). An additional note regarding the stellar Frazee, following this outing his goals against average fell to 1.48 and his save percentage rose to .929. Not too shabby for the one-time AHL All-Star goalie.